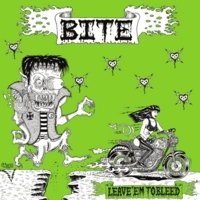 Damn good punk rock from BITE!! I love this band, and, I've seen them many times over the past few years. Chelsea is one of the best frontwomen out there these days, and, what can't I say about Keith the rock machine, he is a killer guitar player. Buy this cd, get fucked up and enjoy it.